This elixir, aphrodisiac and star of Chinese myth is also an Up North native and still sprouts in our forests. Foraging the magical root helped Northern families survive the Depression. But how much longer will ginseng survive poachers and forest encroachers? This story about ginseng in Northern Michigan forests ran in the April 2003 edition of Traverse, Northern Michigan’s Magazine. Charlie Sheneman’s bright blue eyes, still keen after 80-some years, scan the Antrim County hillside with expertise. “Look,” he says, his voice rising in excitement, “there’s one.” He points to a small, nondescript green plant crowning just a few inches above the rich Northern peat. Back in the ’30s, when Charlie foraged the woods for a living, this plant was common, and he bets there’s more of it around here. He’s right: Just over there, under the blackberry bramble, is a “four-pronger”—a plant with four leaves. “See?” he says. Bending low to look, I suddenly feel privileged. In five minutes of searching, Charlie found what I’d attempted to locate a dozen times at this same spot. My search had been fruitless, despite help from naturalists, despite a stack of botanical guides. Yet, the object of my quest had been growing here all along, in plain view: wild ginseng, the most revered medicinal plant in the world. To the untrained eye, wild ginseng doesn’t look any different than a thousand other woodland plants thriving in the Northern boreal forest. Yet, its ordinary foliage camouflages 7,000 years of Chinese mythology, medicinal lore and Native American legend. “Forest gold” is the name Daniel Boone gave the American version of Panax quinquefolium, an unassuming plant that’s been touted as an aphrodisiac, tonic and panacea for a laundry list of humankind’s afflictions. Today, scientists are examining ginseng like mad. Can it treat high blood pressure, diabetes and cancer? Is it an antidote for fatigue, stress and good old-fashioned hangovers? Even as science explores ginseng’s curative powers, North America’s might-be-a-miracle herb is systematically being exterminated, just as its overseas twin, Asian ginseng, was virtually wiped out by overharvesting. With a remarkable agility for a man in his 80’s, Charlie clambers up a steep ridge and points out several more wild ginseng plants as I struggle to keep pace. “It was like finding gold for me, too,” he says, recalling his sanging days in the 1930s. In those days, they dug in October, after the plant went dormant and they were careful to replant some of the root—after all, the plant can live more than 50 years if given a chance. But Charlie is concerned that wild ginseng’s chances are diminishing. Poachers, in Michigan anyway, aren’t a real threat to wild ginseng. The plant is too scarce and scattered, too easy to bypass. And the plant has been protected by Michigan’s Endangered Species Act since 1974. Illegal ginseng digging is a misdemeanor punishable by 90 days in jail and a $1,000 fine. The real threat to Michigan’s ginseng, says Ray Rustem, endangered species coordinator for the state’s Department of Natural Resources, comes not from deliberate harm but rather lack of familiarity with the wilds. Our ancestors gathered plants for survival, knew the woods, could spot a morel at 20 paces, but today, few of us spend much time in the woods. “Most of us are unable to identify a trillium from a trout lily,” Rustem says. “And that’s a tragedy.” Through lack of forest understanding, people clear sites for building and wipe out ginseng without a clue as to what they’re doing. For thousands of years, gatherers in the Far East eagerly scoured the forests for ginseng, and today, a rare single wild high-grade imperial Chinese root commands thousands of dollars. Scientists have yet to detect a difference between wild and cultivated ginseng. Nonetheless, in Asia, where the bulk of ginseng is sold, wild roots—the older, the better—are believed by many to possess more curative power than their cultivated counterparts. 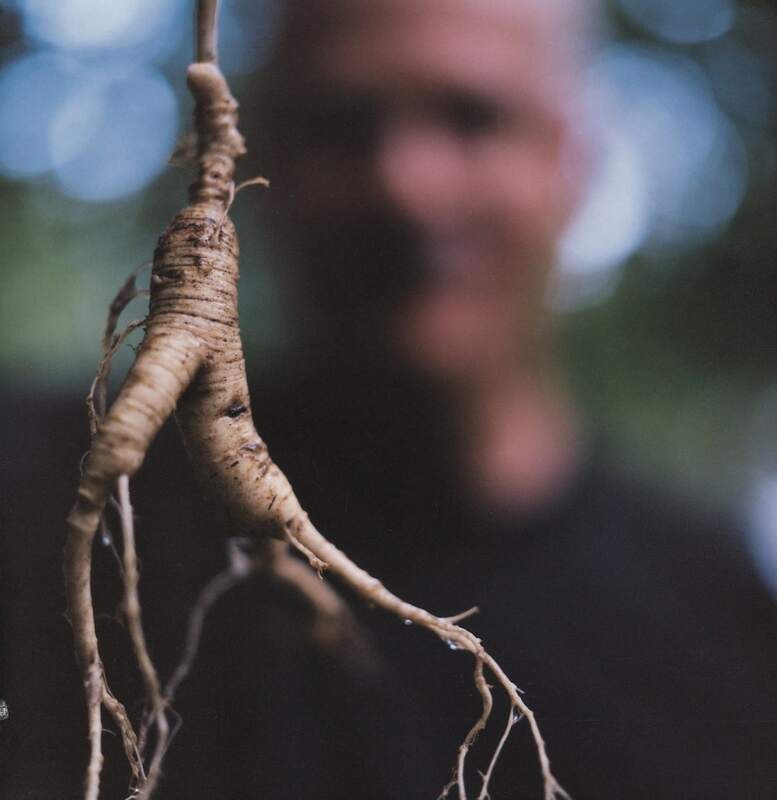 The market pays $200 or more per pound for wild American roots, compared to $15 per pound and up for cultivated ginseng. In North America, the aromatic tubers, slightly different from the Asian species, were gathered and used for centuries by Native Americans, including Northern Michigan’s Chippewa and Menominee tribes, who used it to enhance mental alertness. Potawatomis used ginseng as an eyewash, as a fertility drug, and to cure earaches and relieve stomach disorders. Europeans encountered wild ginseng in Canada in 1716, and by mid-century it was fetching $5 a pound on the Asian market, a fortune at the time. Daniel Boone’s legendary ginseng-gathering misadventures in the Cumberland Mountains financed many of his explorations. John Jacob Astor, of the American Fur Co., traded not only in beaver and mink pelts, but also wild ginseng root. The herb was gold until the Civil War, when over picking made the plant harder to find. To sate worldwide demand, domestic cultivation began in the late 1800s, and today, Wisconsin is ginseng central, producing up to 99 percent of the country’s crop. Though growing domestic ginseng is more a hobby than livelihood for Michigan farmers—it’s hardly a road to fame and fortune—ginseng farms are growing. Production in Michigan quadrupled between 1997 and 1999, from 5,000 to 20,000 pounds. Michigan’s thick hardwood forest canopies and verdant soils are perfect for ginseng cultivation, so many farmers simply plant in existing woodlots, sugarbushes and timberlands, creating extra income without tampering much with Mother Nature. Large ginseng operations in Wisconsin and British Columbia cultivate the plant under artificial shade canopies. 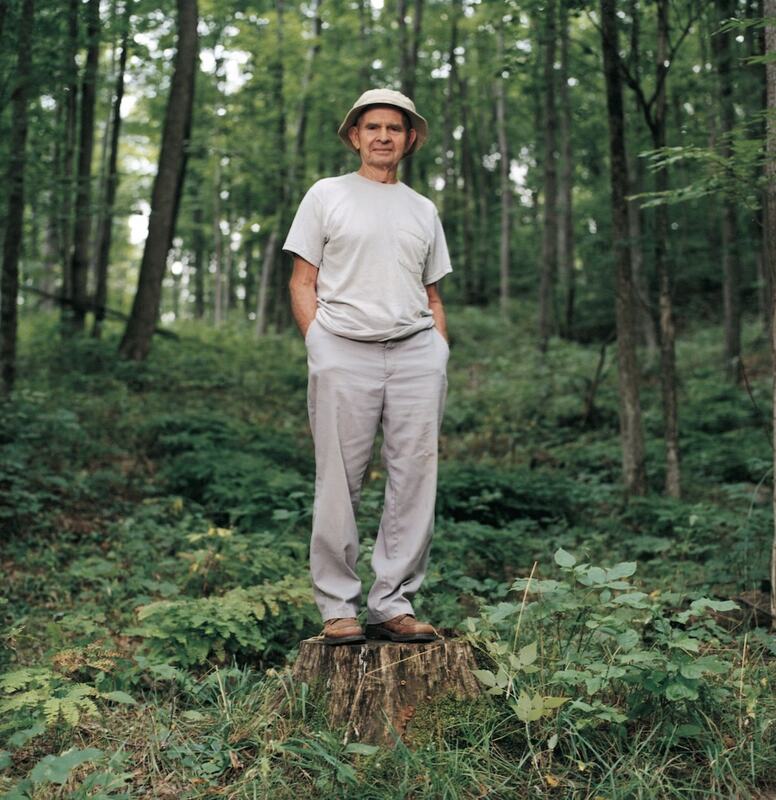 Ed Lennington of Mancelona had always been interested in ginseng, so about 10 years ago he ordered some seed and planted it among maple, ash and beech. Ginseng isn’t disturbed by selective cutting and will continue maturing and dividing as long as it receives enough shade. “I’m content to just let it grow,” he says, “which, ginseng, if it’s left to grow and is not disturbed, continues to do. It’s like having money in the bank.” Remember: the older, the better. Steven Edwards, owner of Aspen Hill Farms in Boyne City, specializes in herbs and organics, and ginseng is just one of his crops. He grows goldenseal, black cohosh, naturally raised chickens. Ginseng flourishes under a natural canopy (translation: in the woods). Edwards, like other ginseng growers, is patient. It takes more than five years for the first crop, and the more the roots age, the more they’re worth. Price depends on size, color, age and shape. Autumn is a busy time for Edwards, a full-time educator who has written articles on ginseng and other herbs, who conducts seminars in his spare time. “There are years when I’m too busy to harvest any of the ginseng.” But, like Ed says, it’s money in the bank, gaining interest all the time. And it remains pure gold to people like Charlie Sheneman, who continues to look for other wild ginseng patches, before it’s too late. There’s ginseng wine, ginseng pills, ginseng slices, dried ginseng and lots more ways to ingest ginseng. But ginseng tea is by far the No. 1 choice of devotees, from ancient Taoists to modern Americans. To prepare your own magic tea, boil 24 ounces of water, preferably in an enamel or porcelain pot, then add 1 to 3 grams of dry whole or sliced ginseng root. Reduce heat and simmer, covered, for 20–30 minutes. Cool to room temperature. Hot tea is okay, but age-old Chinese medical lore says teas should be taken at tepid temps. Consume one cup, maybe two, a day. Ginseng tea can be refrigerated for several weeks, and reheated. A couple of warnings: If you have high blood pressure or drink lots of coffee, skip the ginseng altogether.